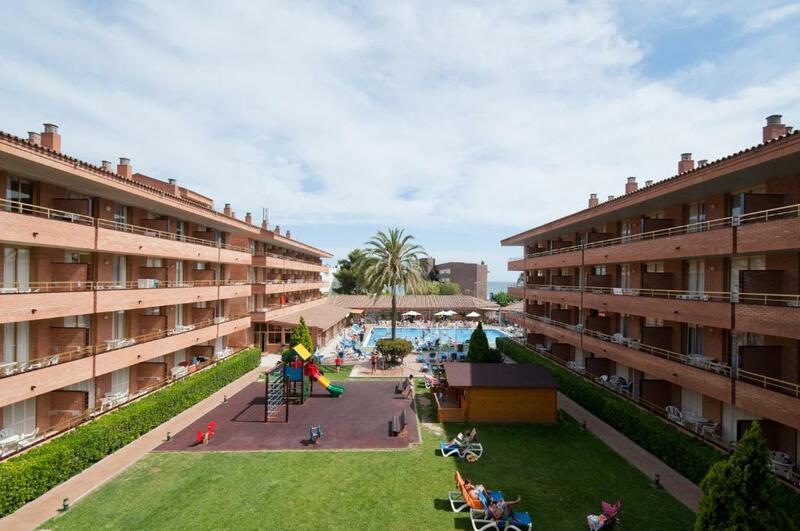 Lock in a great price for Voramar Cambrils – rated 8.1 by recent guests! The apartment was spacious but cosy. We had a great view of the gardens and pool. Large selection of food available. Big food variety, lot of sea food. Friendly and helpfull staff. Nice, friendly stuff. Good location and perfect value of money, should be mentioned that we were there last week of May. Nice and spacious apartments. Simple but functional. Being new helps of course. 1. близость к морю и хороший пляж. 2. Просторный номер с 2 комнатами. Comida muy buena,mucha variedad,bastante fruta y verdura.Personal amable.Habitacion grande,me gusto mucho ,que hay muchos espejos,para arreglarte,no tienes que esperar el baño.Armario muy amplio.Balcon con la mesa,para cena romantica perfecto.La cocina,nevera,microondas,campana,la cocina bien equipada.Baño bonito,hay mueble para poner cosas. отдыхали семьей с двумя детьми 2 и 10 лет, все понравилось! питание хорошее, особенно понравилось обилие фруктов. Пляж очень близко минуты три от отеля. Набережная красивая, брали велосипеды напрокат. В отеле была вечерняя анимация для детей, не супер крутая, деткам нравилось. Весь персонал улыбчивый и приветливый. На ресепшене была русскоговорящая девушка, что очень упрощало общение. Aparthotel Voramar is set in a quiet area, 350 feet from Vilafortuny Beach, on the Costa Dorada. It offers a free Wi-Fi zone and a lawn area with an outdoor pool. 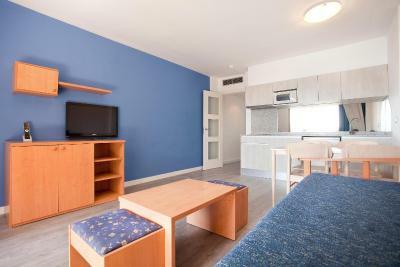 Air-conditioned apartments have a furnished terrace with sea or pool views. The living room features a sofa bed, safe and satellite TV. 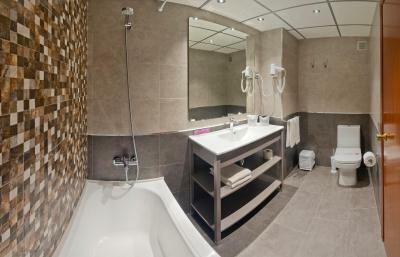 There is a private bathroom with a hairdryer, and a well-equipped kitchenette and dining area. The Voramar complex has a buffet restaurant and poolside café-bar. Packed lunches can be requested. A supermarket can be found just 2 minutes’ walk away. A varied entertainment program is provided for adults and children. 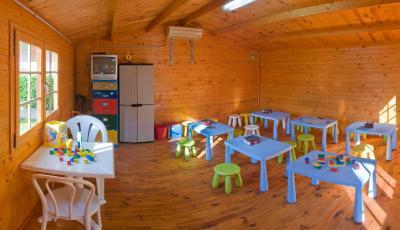 There is a games room, children’s playground and mini club. You can hire a car or bicycle from the 24-hour reception. On-site parking is available for an extra charge and there is easy access to the A7 Motorway. 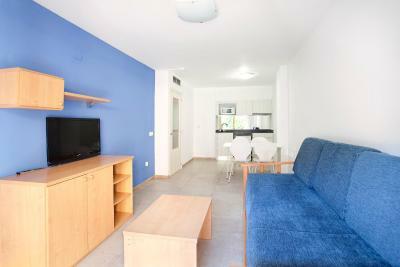 뀐 Located in the top-rated area in Cambrils, this property has an excellent location score of 8.4! 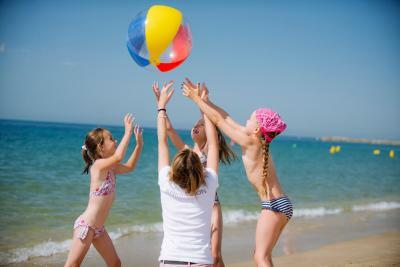 When would you like to stay at Voramar Cambrils? This air-conditioned room features a seating area with satellite TV and a sofa bed. 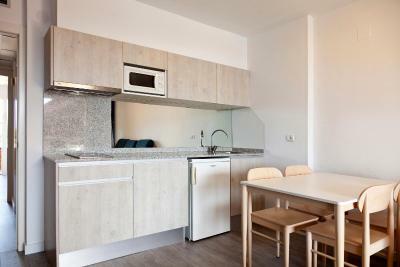 The kitchenette includes a hob, microwave and coffee maker. 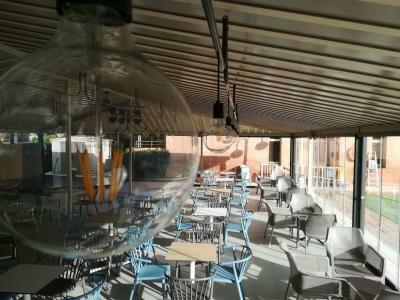 There is also a private terrace. This air-conditioned room features a seating area with satellite TV and a sofa bed. The kitchenette includes a hob, microwave and coffee maker. There is also a private terrace with views of either the pool or the sea. House Rules Voramar Cambrils takes special requests – add in the next step! Up to two children under 12 years are charged EUR 42 per night when using existing beds. 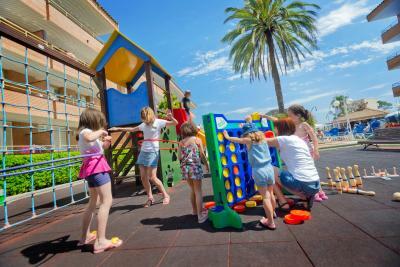 Any additional older children or adults are charged EUR 63.56 per night for extra beds. Voramar Cambrils accepts these cards and reserves the right to temporarily hold an amount prior to arrival. Breakfast is organised on the cheap and you may encounter 130 DB noise. (Lot's of babies crying and kids running around and screaming) The lay out of the breakfast room is no good. It's chaotic. I was relieved when we left. Dishes was not very clear, maybe they were washed with dishwasher on short program. Wi-fi was very poor. Room had quite poor sound isolation.